Price Range £190,000 - £210,000. 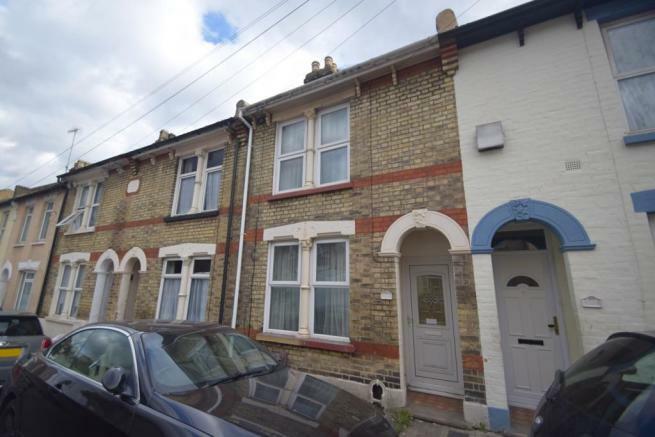 Offered to the market with no chain perfect for a first time buyer or as an investment. On entering you will be pleasantly surprised with the size of accommodation on offer. The ground floor of the property boasts a good size lounge/diner leading to a galleried kitchen offering a variety of wall and base units, downstairs cloakroom, plus the benefit of a basement perfect for storage. The first floor consists of three good size bedrooms and separate family bathroom. Additional benefits include an enclosed rear garden which is mainly laid to lawn. The property itself is within close proximity to the high street and mainline station plus local schools. Please call the Greyfox Sales Team for further details. Disclaimer - Property reference 12136085. The information displayed about this property comprises a property advertisement. Rightmove.co.uk makes no warranty as to the accuracy or completeness of the advertisement or any linked or associated information, and Rightmove has no control over the content. This property advertisement does not constitute property particulars. The information is provided and maintained by Greyfox Estate Agents, Walderslade. Please contact the selling agent or developer directly to obtain any information which may be available under the terms of The Energy Performance of Buildings (Certificates and Inspections) (England and Wales) Regulations 2007 or the Home Report if in relation to a residential property in Scotland.